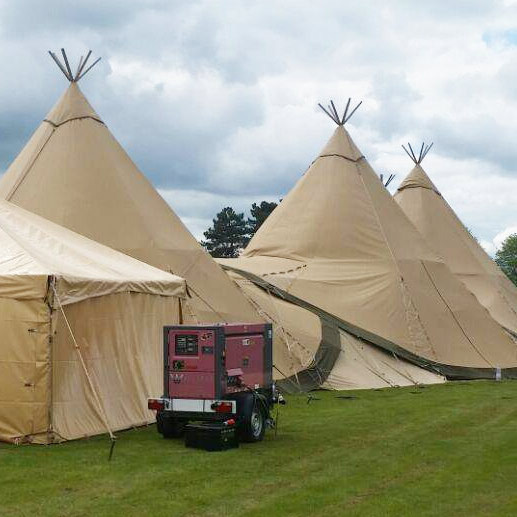 Whisper Generators hire generators and lighting equipment for events in the Beaconsfield area. 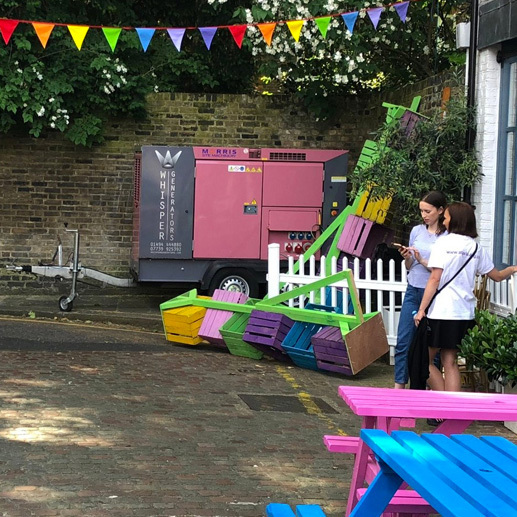 If you’re planning an event, big or small, Whisper Generators offer tailor made solutions to suit the needs of your event. 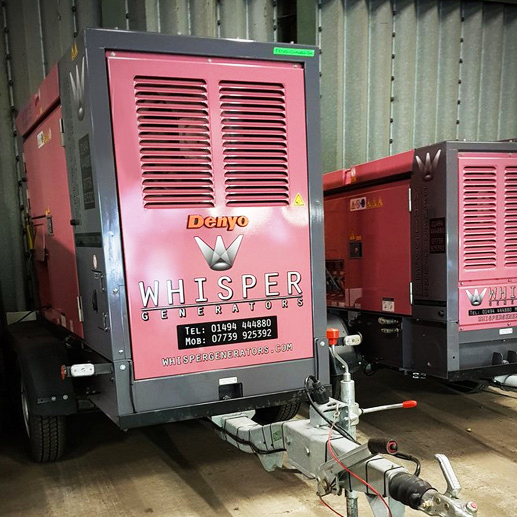 Whisper Generators offer knowledgeable advice and guidance regarding generator size and specification when you request a solution tailored to your event requirements. 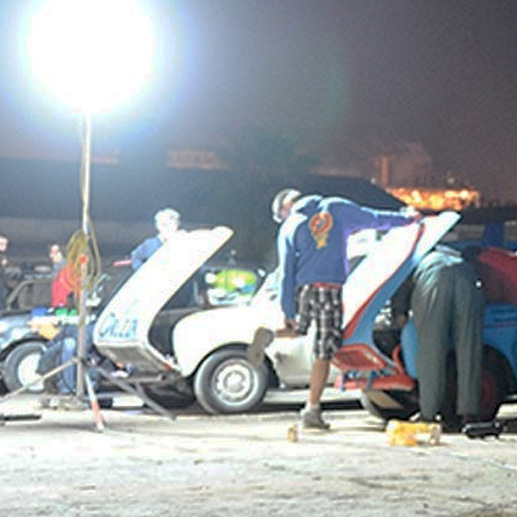 We supply noise efficient generators to ensure disturbances are avoided and guarantee that attention remains firmly on your event. We also offer assurances to our clients, guaranteeing the maintenance of our generators, however, in the unlikely event an issue arises, we provide 24 hour back up to give clients peace of mind. 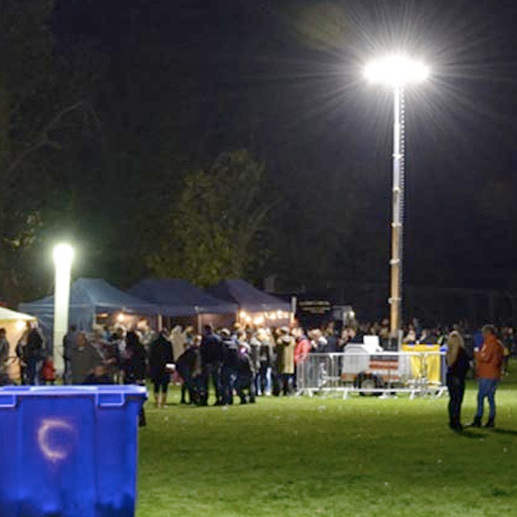 We have a large fleet of LED tower lights available for event hire in the Marlow area, Beacon Festival and Round Table firework events are previous clients that we have made use of our event lighting hire in Beaconsfield. Our LED tower lights are fitted with five 240w heads, which provide 50% improved fuel economy than older metal halide lights. The benefits when fitted with a quiet diesel engine include the ability to run for over 130 hours using only one tank of fuel. We also provide cotton bud lighting for complete lighting coverage. This compact, low power option offers soft light that doesn’t dazzle when looked at directly. Whisper Generators also have an arrangement to provide an insurance cover having found that a number of policies eliminate generator cover. If you require event generator and lighting hire in the Beaconsfield area, call us at Whisper Generators on 01494 444880 for further details.